Candle light can really lift your spirits on these dark, dark nights! 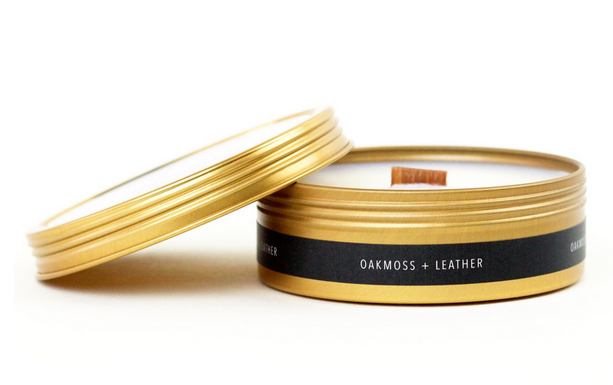 We suggest this beautiful Oakmoss + Leather travel candle from Simply Curated - the deep, rich, musky scent will really help you get in the hygge frame of mind. We suggest donning some warm flannel, turning on some jazz, and sipping your wintertime favorite beverage as you enjoy the flickering glow! The next morning, pour yourself a cup of Counter Culture Coffee's Iridescent Blend. CCC donates a portion of proceeds from every pound they sell to organizations doing important work in the communities where they source coffee - to complete the cycle of good works, good cheer, and great coffee - truly embodying the hygge spirit we think! CCC's #anycoffeeanybrew campaign shows that there are so many ways to brew a delicious cup - check out the brewing guides on their website. Christmas trees in a bottle. Need we say more?! 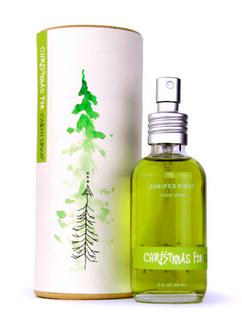 This Christmas Tree Cabin Spray by Juniper Ridge is the epitome of holiday smells. Spray the scents of hygge all over your house - in your living room, bedroom, even the bathroom! When the holiday rush is over, it will help transport you back to that festive frame of mind. Nothing says hygge like curling up with a good book - and better yet, an adult coloring book! It's another 6 months till summer, people, so surround yourself with the joy of plants with this "Just Add Color: Botanicals" book by Lisa Congdon. It will delight your creative senses and add bring a pop of color into these long, dark nights! Feeling hygge is also about being comfortable and happy in your skin, even in these months of cold, dry air! This beautiful Patchouli & Geranium Body Oil from Thesis Beauty is the perfect antidote to all of those winter skin challenges. We suggest performing the ayurvedic practice of self-massage to increase circulation and keep your skin soft and moisturized! Rub this oil deep into your skin for 10 minutes before a warm shower: massage in circular motion towards the heart; rinse with water but not with soap. 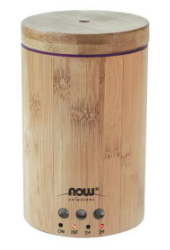 This beautiful Bamboo Aromatherapy Diffuser from NOW uses ultrasonic technology to release a cold mist, filling your home with the pleasing, hygge scents of the pure essential oils of your choice. The cold mist maintains the integrity and holistic properties of the essential oils. Use a single oil or an enticing, hygge combination like bergamot & clove, or frankincense & orange. Let us know how you're staying hygge this season!